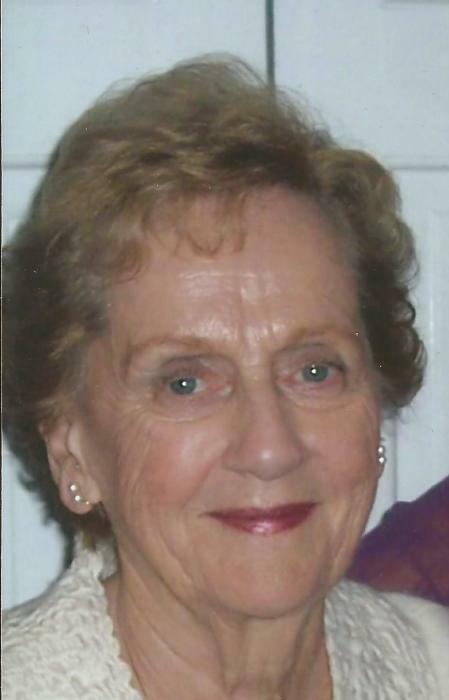 Mary Elizabeth “Betty” Abbott O’Connor, 88, passed away peacefully at home in her sleep on Tuesday, March 19, surrounded by her loving family. Betty was born in 1930 and grew up in West Orange, NJ. She graduated from West Orange High School and while in high school, met her beloved husband and partner for life, Andrew John “Gump” O’Connor. The high school sweethearts married in 1952 and embarked on a long and wonderful life together, enjoying 56 years of marriage. Betty and Gump moved from West Orange to Florham Park fifty-one years ago, raising their large and boisterous family of seven children. Betty lived a life dedicated to her family and extended family, as well as to serving her community. The O’Connor home was the center of the family and the gathering place for all, celebrating countless holidays, birthdays, neighborhood events, friends and family. Betty and her family also loved the NJ shore and over the past forty-five years spent considerable time at their beach house on Sea Girt Avenue in Sea Girt. Her summers at the shore were amongst her and her family’s favorite memories. Betty was gracious, welcoming, warm and beloved by all. Betty also took care of her elderly parents in their later years, and in addition to her own children, grandchildren and great grandchildren, also cared for her nieces, nephews and other family members. She was a member of the Florham Park First Aid Squad and an active member of the Holy Family Church, where she served as a Eucharistic Minister. Additionally, in 1983, she and her husband started A.J. O’Connor Associates, a successful Human Resources firm where Betty served as Vice President. They worked together for over eighteen years, with Betty retiring in 2001. Betty was predeceased by her husband Andrew John O’Connor, her parents James and Mary Abbott, her brothers Jim Abbott and Bill Abbot, and her sister Joan Tracey. She is survived by her seven loving children Andrew J. O’Connor III (Deborah), Kevin O’Connor, Shawn O’Connor (Meagan), Brian O’Connor (Andrea), Colleen O’Connor, Dennis O’Connor (Pam), and Daren O’Connor (Mary). Betty is also survived by her sixteen grandchildren of whom she was so proud: Shannon (Tim), Caitlin (Ryan), Kyle (Christy), Erin (Will), Trevor, Siobhan, Luke, Lauren, Victoria, Terrence, Brendan, Jack, Drew, Cassandra, Kelsey and McKenna , as well as six great grandchildren: Taylor, Andrew, Carleigh, Liam, Connor and Ella. Arrangements are as follows: Viewing at Leonardis Funeral Home Ridgedale Ave Florham Park Friday 4-8pm Funeral Service on Saturday March 23 10:30am at Holy Family Church in Florham Park, with the internment immediately following at Gate of Heaven Cemetery, Ridgedale Ave East Hanover.